For the most part, ice-fishing came to an early end this year. That means that open water fishing will have an early start: In fact, throughout the Midwest, some anglers are already enjoying open water fishing. They’re on rivers, and they’re fishing for walleyes. 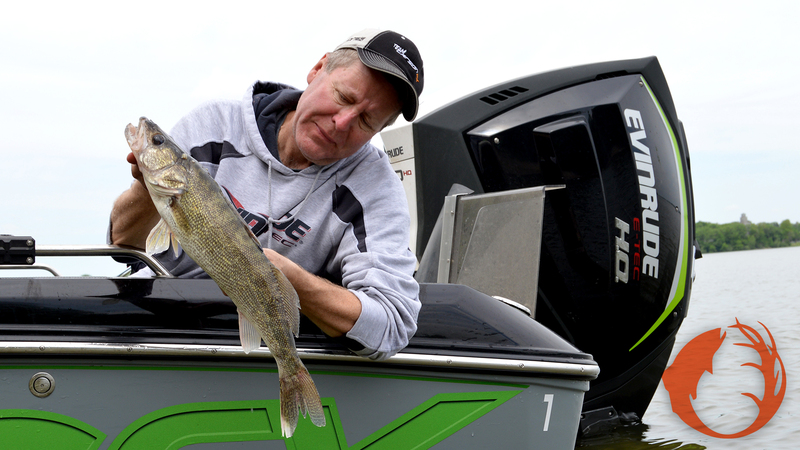 Walleyes will eat a bait year ‘round. While they’ll get more aggressive as water temperatures rise, now can be a very good time to catch some walleyes, and the chance for a big one is good also. The walleyes are willing to bite and they can be found in good numbers in certain areas. Here’s how you can get in on the action. You may have to travel a bit to find a place to fish for walleyes, or they can be close to home. Those that have to travel are those anglers that live in states or areas that have a closed season to protect spawning walleyes such as Minnesota, Wisconsin, and the northwest corner of Iowa. Major rivers like the Mississippi, Missouri, Wolf, and smaller rivers like the Shellrock and Cedar are great places to find walleye and sauger action. Don’t ignore those smaller rivers, they can be outstanding at times. Ask around, do your homework, you’ll probably find a body of water near where you live that can provide walleye or sauger action. Bait presentation is straight forward. You can use three-way rigs or blade-baits or jigging spoons if you want, but you really only need jigs, and you really only need one style of jig. In the spring, you can’t beat a Fire-Ball jig. Early in the year when water temps are still pretty cool, a jig and minnow combination is tough to beat, and many walleye anglers will agree that there is no jig better with minnows than a Fire-Ball. It has a short-shank hook that allows an angler to hook the minnow in the mouth and out the back of its head so the minnow’s mouth is right against the jig head. This makes the bait look smaller, which is an advantage in cold water, and also increases hooking percentages. Fire-Ball jigs also have a quick attach-detach stinger hook system. If you’re getting short strikes, a stinger hook will put fish in the boat. A stinger hook is a treble hook that is attached to the jig with a short piece of wire or monofilament. The stinger is hooked into the minnow a little behind the dorsal fin. When a walleye hits short, it gets the stinger. Six pound test CX P-Line is an outstanding line choice. It’s tough, manageable, and a great value. Try different areas. Some anglers like to be by the dam, but there will be lots of fish downstream of the dam a mile or two or even more, and there will be fewer anglers. Perhaps the most important consideration is current. Work the areas at the edge of the current very carefully. Walleyes will hold in areas out of the current whenever they can. If you’re anxious to get the boat in the water, or if you prefer to put your waders on and get in the water, walleye fishing on rivers provides a great opportunity right now. Find out for yourself how good the walleye action can be in the early spring. Photo: Bill Jensen with a spring walleye taken from Clear Lake in north central Iowa. They’re biting on Clear Lake and many other fisheries right now.